The Pentax 12-24mm has a big price tag but is compact and lightweight. The big zoom ring facilitates smooth zooming with an even progression from start to finish. The focus ring is equally smooth but has a longer travel than most of its ultra-wide competitors. Optically, the Pentax is a bit of a mixed bag. It failed to deliver sharpness equal to Canon or Nikkor lenses but was better than the Sigma. Vignetting is barely perceptible, even when shooting wide-open at 12mm and distortion is controlled well. Performance in flare and ghosting are fine, but chromatic aberration proved a problem. More edges took on purple fringes than with rival lenses. 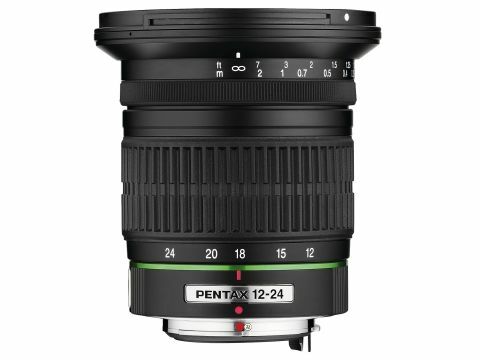 Overall, the Pentax 12-24mm doesn't live up to the expectations of its asking price.